Its been over seven years since new construction townhomes have been available in downtown Bellevue. Scheduled for completion early this summer, the Metric Townhomes, located just south of Main Street on 107th Avenue SE, will offer 23 townhome residences with easy walk-ability to the city’s workplaces, shopping, dining, amenities and services. Homes are generous in size ranging from approximately 1,500 to 2,100 square feet with two and three bedroom floor plans, two car garages and rooftop decks. With so little inventory available downtown, new construction or resale, these homes should be a welcome addition for condo or single family buyers. Contact me if you’d like to know more about this community or other available condos and townhomes. 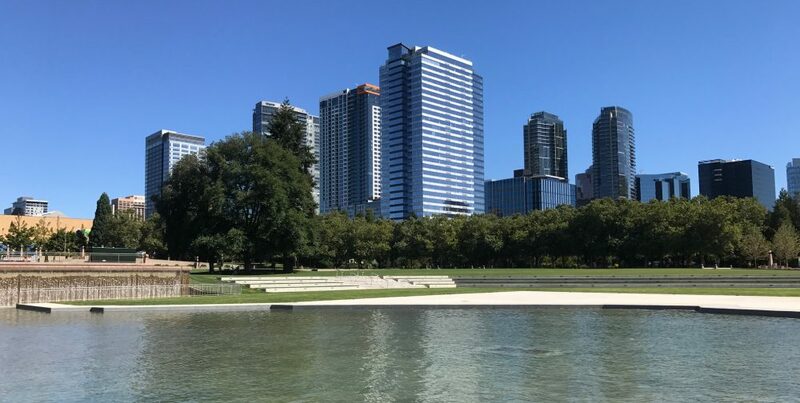 I’ve specialized in condos for over two decades and live downtown – it always helps to know what’s happening, and what’s about to happen, in your neighborhood. There are likely thousands of seniors in King County who might be eligible and really need this exemption but are not taking advantage of it. Census data shows close to 40,000 homeowners in the county may meet the requirement for the senior exemption but less than 15,000 are enrolled in the program. Last year’s food truck round-up in Bellevue was a big success. Hopefully this event is on the calendar of summer events again this year. Would love to have the Seattle Barkery food truck “Buster” make a visit to the eastside this summer. Seattle Barkery is a dog food truck selling mostly organic canine treats made fresh daily using human grade food. The truck regularly visits local Seattle dog parks, dog friendly breweries, events and farmers markets. Favorite menu items include the “Bacon Pupcake”, “Mini Cheezy Donuts”and “Doggie Ice-cream Sundae”. Coffee and a limited selection of treats are also on the menu for the humans at the other end of the leash.